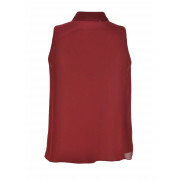 Update your wardrobe with this amazing chiffon top from Explosion. 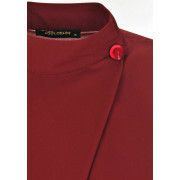 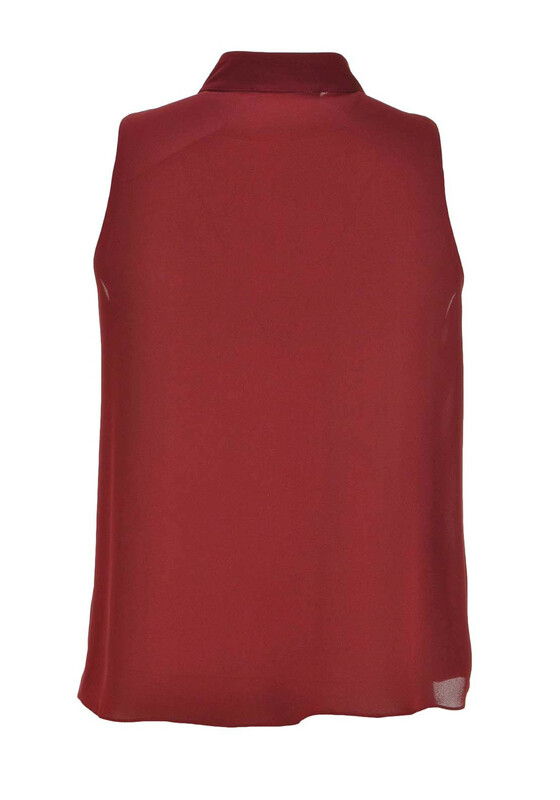 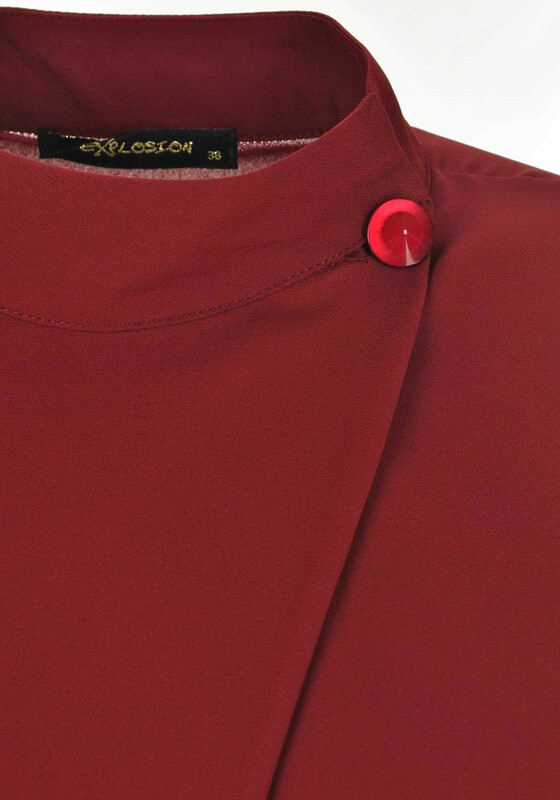 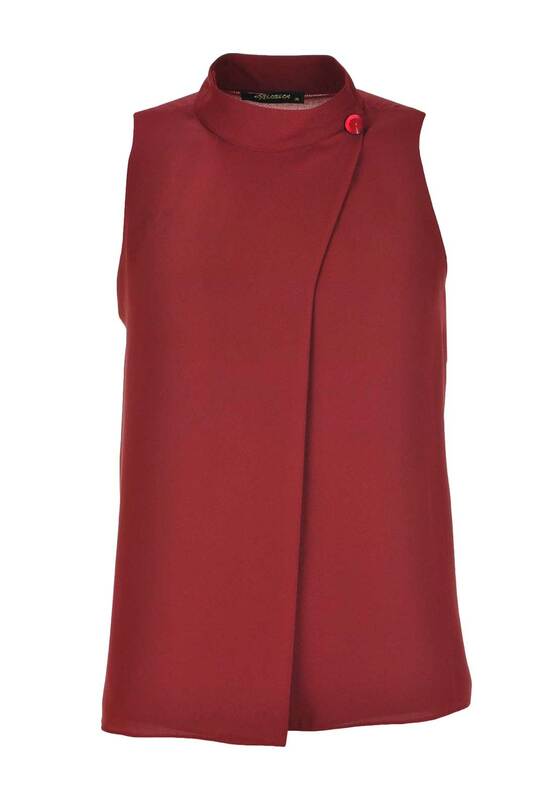 Presented in Bordeaux this is right on trend and in a wrap over design that is secured to a button on the high neck. 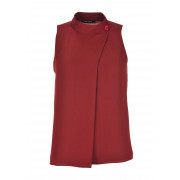 It has a flared trim and will look stunning tucked into a pencil skirt or with your favourite denims.